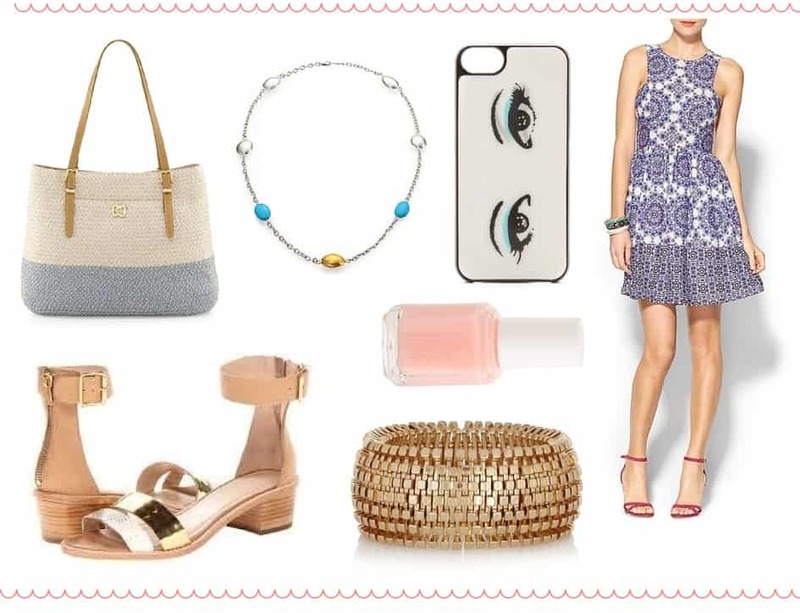 This week I’ve partnered with WearEverYouGo.com for a very special and fashionable Wine Wednesday. WearEverYouGo.com is a travel site dedicated to providing women with the inspiration and ideas to pack the perfect travel wardrobe. 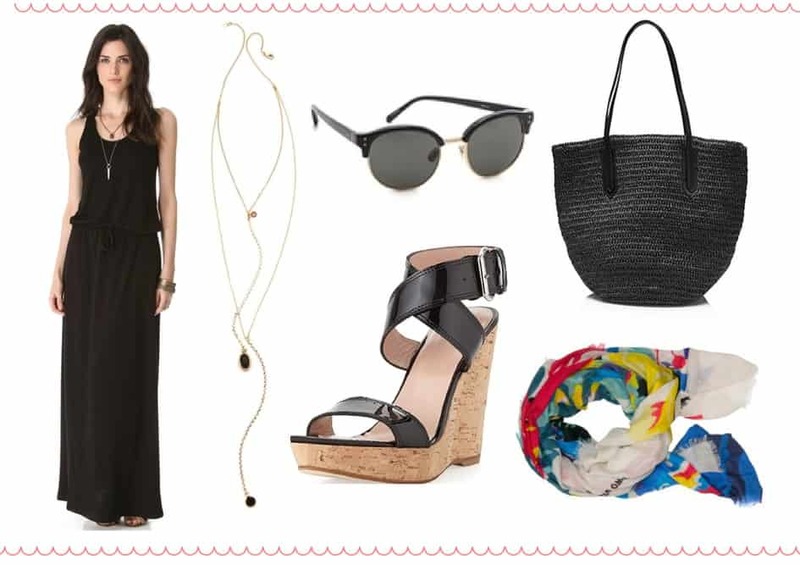 This week we’re talking WINE and what to wear when you’re wine tasting, especially along the Finger Lakes Wine Trail. (Have you been?!?!?) 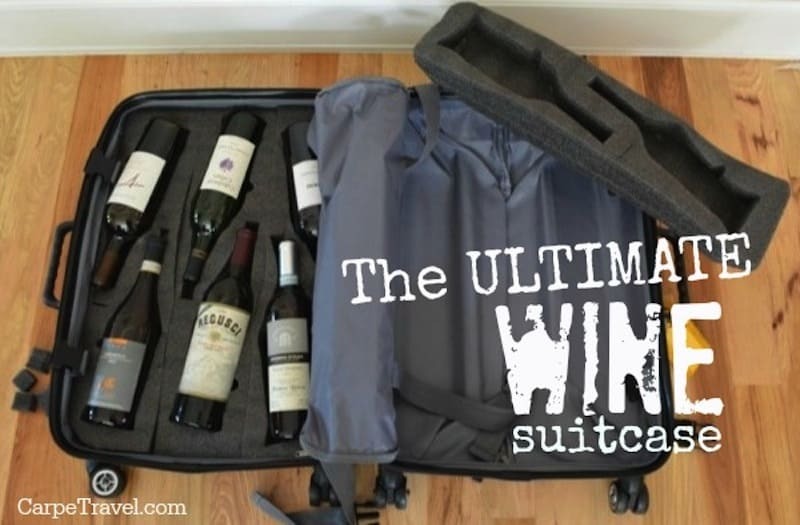 Make sure to click over to WearEverYouGo.com to see my Eight Tips for Planning the Perfect Wine Trip. Cheers! The eleven lakes that make up the Finger Lakes area were formed over two million years ago by receding glaciers and they resemble the fingers of a hand since they are long and narrow, generally running on a north-south axis. Hence the name, Finger Lakes. While the lakes themselves are huge draws, the Finger Lakes region is also New York State’s largest wine producing region, with the riesling grape being dominant. The wines and scenery of the Finger Lakes rival that of California’s wine regions. The scenery is really quite spectacular, filled with wonders like gorges and waterfalls created by the receding glaciers as well as having a perfect climate for growing grapes. Have you visited the Finger Lakes area of upstate New York? What about any of the 70 Finger Lakes wineries? Visit Taughannock Falls, a waterfall in Taughannock State Park located in the town of Ulysses on Cayuga Lake. The waterfall plunges nearly 215 feet past cliffs that tower nearly 400 feet over the gorge. It is one of the highest, if not the highest, waterfalls east of the Rockies, and-fun fact-is 33 feet higher than Niagara Falls. There are hiking trails both above (hope you are not scared of heights), and below the falls, and lovely picnic areas on Lake Cayuga. If you have time, stop by Robert H. Treman State Park. It is well-known locally with several prime areas, the lower falls for swimming, the upper falls and Old Mill with a spectacular hike down the gorge, and then 115 foot Lucifer Falls. This is the perfect starting point for your road trip with Watkins Glen nearby, Buttermilk Falls (a favorite spot for hiking and swimming nearby cascading waterfalls), the Corning Glass Museum, and close to 70 local Finger Lakes wineries! Clink Clink. A great place to stay is the Aurora Inn, book a room with a view of the lake, or just have dinner at the inn or across the street at its pub, Fargo. The inn was built in 1833, and renovated in 2001. There is a terrace for lovely lakeside dining. You can also visit Harriet Tubman’s home in Aurora for a dose of history. Another nice place to stay one lake over on Lake Skaneateles is the cozy Sherwood Inn, originally a tavern. Again, book a room with a view over Skaneateles Lake, said to be the highest, bluest, and clearest of the major Finger Lakes. The village, with its Greek Revival and Victorian houses, is a slice of Americana, and a beautiful place for an afternoon stroll or bike ride since the downtown sits right on the lake. (Fun Fact: One of the last mail routes on a lake for mail delivery in the U.S. is here, hop on, cruisers welcome as the postal service makes its rounds on the lake.) If you are there in the summer, check out the Skaneateles Festival of Music. 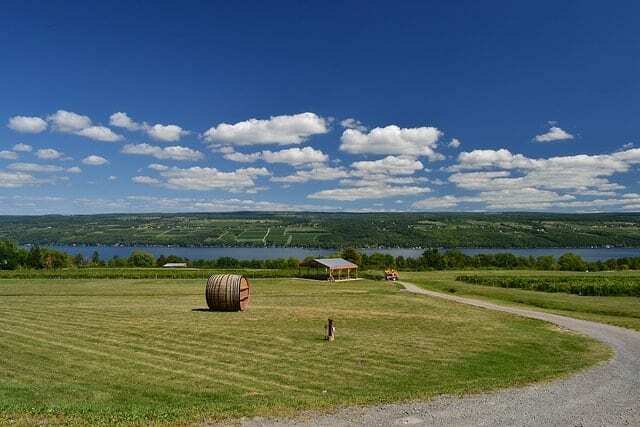 Head over to Seneca Lake or Keuka Lake, and follow the Finger Lakes wine trails along the lakes, stopping at as many of the the wineries as you dare for wine tasting, shopping for cases of wine, and tours. For another dose of history, and a real Be Inspired moment, Seneca Falls (also believed to be the inspiration for Frank Capra’s It’s a Wonderful Life) was the birthplace of the American women’s rights movement. Here Elizabeth Cady Stanton declared that women should have the right to vote! The number of wineries around the lakes totals almost 70, and many have won awards especially for their whites, like Rieslings and Chardonnays. Some favorite wineries include Dr. Konstantin Frank’s Vinifera Wine Cellars, the Hermann J. Wiemer Winery, Sheldrake Point or Long Point (both on Cayuga Lake), Fox Run, Heron Hill (on Keuka), Anthony Road Winery (recent award winner), and Lamoreaux Landing. If you get tired of tasting you can always stop at Watkins Glen International for some Nascar racing fun, and another slice of Americana! Or, Watkins Glen State Park for another look at a spectacular waterfalls in the gorge, which is easily accessed via 800 steps with viewing platforms. Have you visited Finger Lakes? 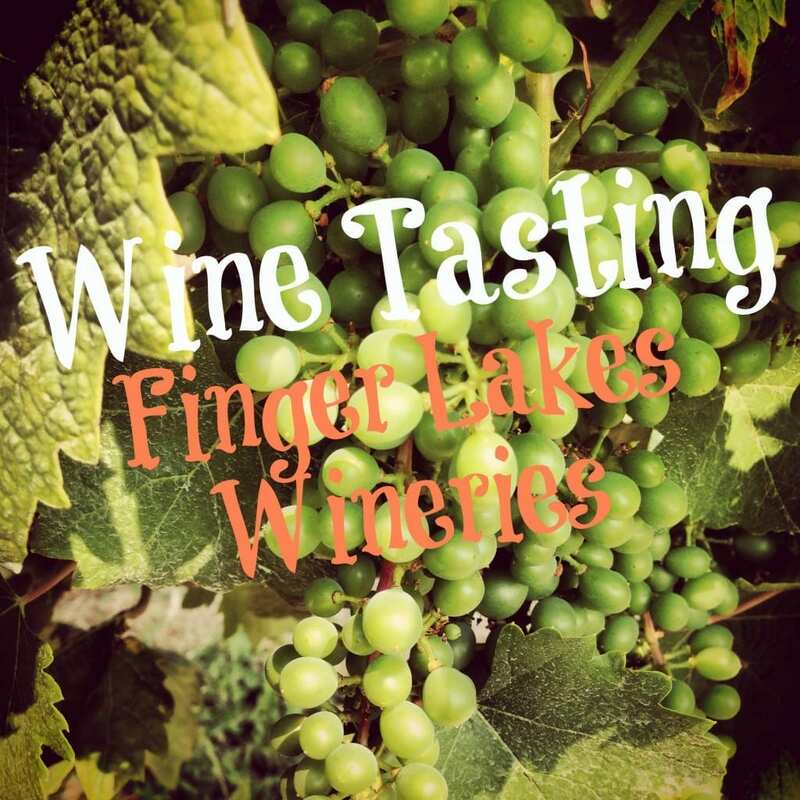 Any of the Finger Lakes wineries? We’d love to hear your thoughts in the comments. I was fortunate to visit Finger Lakes and a few wineries a few years ago. Gorgeous area. It sounds like a great area. I do hope to get there myself – soon. Thanks for stopping by! Great post, Elaine. I’ve always wanted to go to the finger lakes, it looks pristine. and 70 wineries? I have to try them all! I know, 70 wineries! It’d take me a few weeks to do all of them but I’m sure I could do it. I did go to the Finger Lakes once for a wine tasting. I think it was Cayuga Lake. It was also a looong time ago but still have fond memories. I have a friend that lives in upstate New York and she took us wine tasting in the Finger Lakes when we visited her. I would love to go back again. Great information and beautiful pics. Looking fab while tasting wine? Why the heck not?